In a large skillet, add olive oil and garlic over medium heat. Heat just until garlic is fragrant. 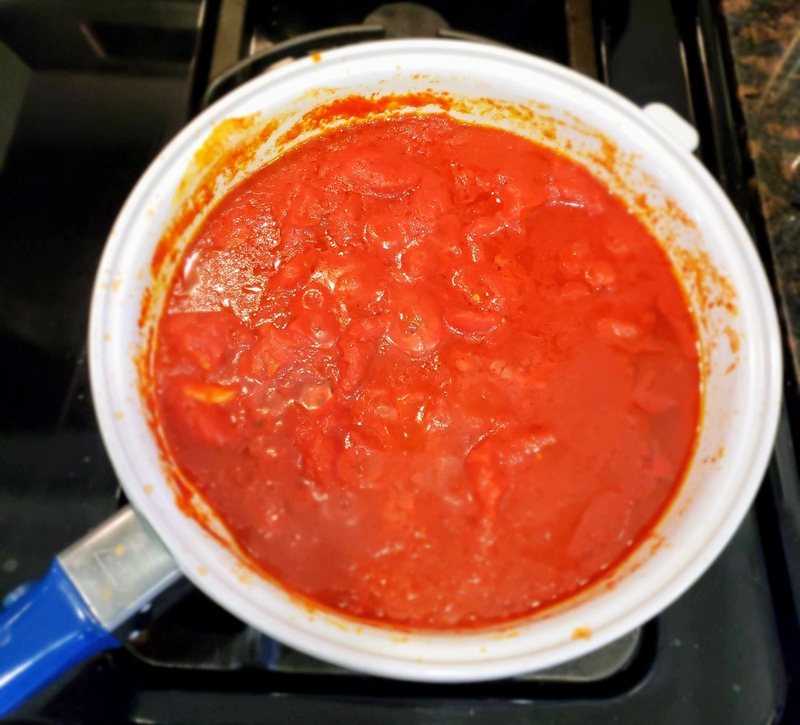 Add can of whole tomatoes and all of the juices. Break up tomatoes with the back of a wooden spoon or spatula. Simmer over low heat while preparing the meatballs and stir occasionally while continuing to break down the tomatoes. 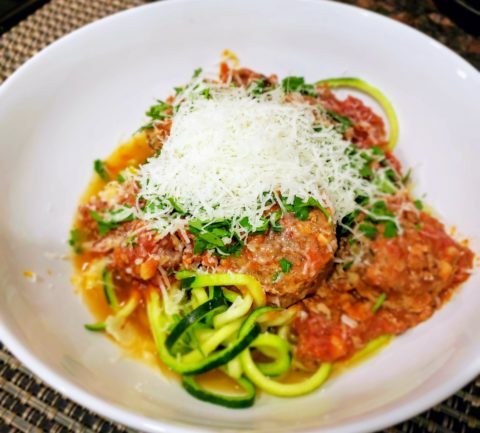 In a medium bowl, add all the meatball ingredients. Mix thoroughly by hand. I like to use kitchen/food handling gloves. 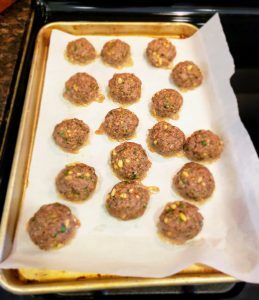 Form 1 ½” meatballs and place on lined baking sheet. Should make around 20 meatballs. Add meatballs to sauce and simmer for 15 minutes or longer if desired. Serve over your favorite noodles. 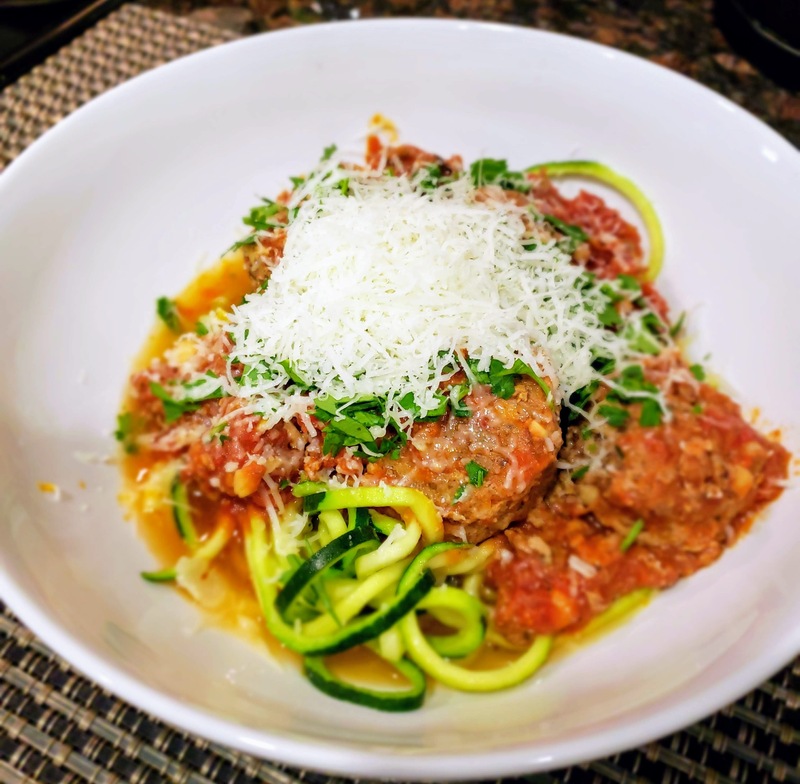 For low-carb use Palmini Linguini, Miracle Noodle, or make your own zucchini noodles. 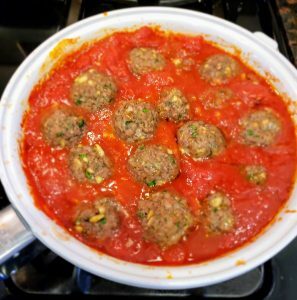 The meatballs and sauce freeze well for later use. Make a double batch! If you can’t eat tomato sauce for special dietary considerations, the meatballs are delicious on their own!